Several weeks ago, I was given the opportunity to create a holiday recipe using products from one of my favorite stores - World Market! My mind was spinning with possibilities but I kept returning to one mouthwatering word. Eggnog. Eggnog is one of my favorite holiday flavors and I consume as much of the thick, creamy tonic as I can during December - the one month where drinking heavy cream, sugar, and eggs is not only permissible, it is encouraged. Best month ever! To my delight, World Market stores appreciate eggnog as much as I do, and they have a number of products that celebrate the flavors of this festive beverage! 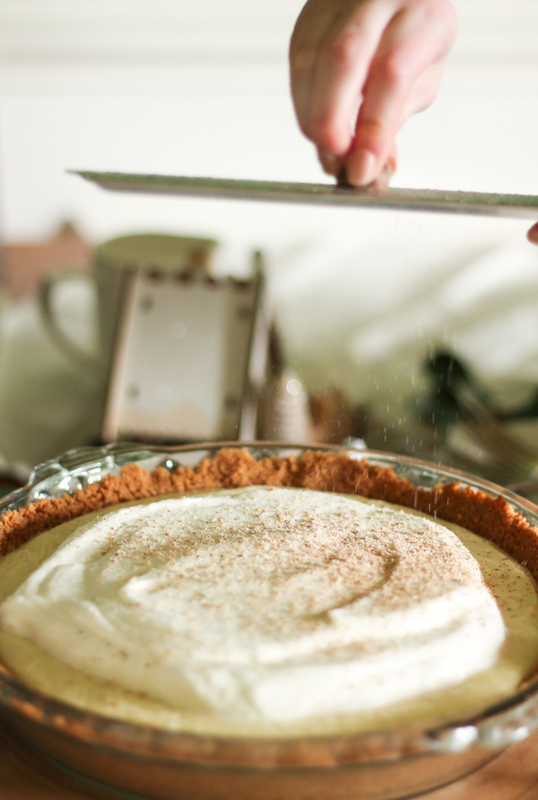 This pie will make all your eggnog dreams come true. The custard is vaguely reminiscent of a creme brûlée custard - rich and silky smooth. The rum-scented whipped cream adds a pleasant kick to the lighter flavors of vanilla and nutmeg, and the crisp eggnog wafer sticks are the perfect topping. I speak candidly when I say that this is probably my new favorite pie. Clear away the Bûche de Noëls and gingerbread houses. 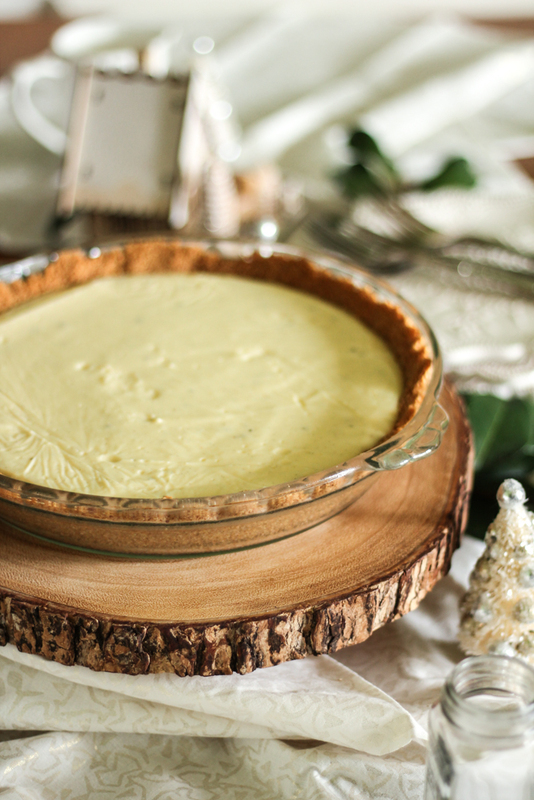 This pie will be getting all the attention at your holiday dessert table. You can find the recipe and links to the World Market speciality ingredients I used here! This post was sponsored by Cost Plus World Market. As always, all opinions are my own.